Proponents of the initiative didn't get nearly enough signatures to qualify it for the November ballot. An anti-transgender initiative has failed to qualify for the November ballot in Montana. Initiative 183, the so-called Montana Locker Room Privacy Act, received fewer than half the 25,468 petition signatures it needed to get on the ballot, The Billings Gazette reports. Sponsors had gathered just a little more than 8,000 signatures by June 20, the deadline for submitting signatures to county elections officials. The initiative would have required people to use public restrooms and locker rooms designated for the gender on their birth certificate. It was sponsored by the anti-LGBT Montana Family Foundation. Last year Montana lawmakers considered legislation similar to the initiative, but it did not make it out of committee. “Even the most conservative members of that body understood the policy is bad for Montana's economy, communities, and schools,” Reagor said. Montana Family Foundation CEO Jeff Laszloffy declined comment to the Gazette. His organization has had some victories at the local level, having successfully lobbied against the adoption of an LGBT-inclusive nondiscrimination ordinance in Billings, the state’s largest city, the paper notes. Although anti-trans forces failed to get an initiative on the ballot in Montana, they’ve had more luck in Massachusetts, despite the Bay State’s progressive reputation. 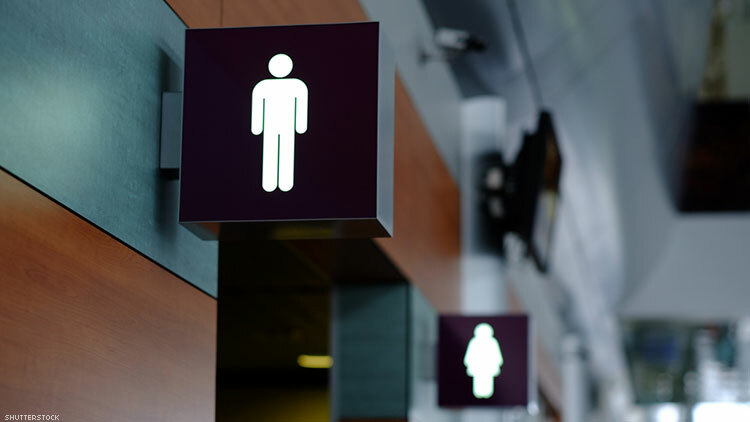 On November 6, Massachusetts voters will consider whether to repeal a law passed by the legislature in 2016 banning gender identity discrimination in public accommodations. A recent poll found 52 percent of respondents in favor of maintaining the law, 38 supporting its repeal, and the remainder undecided. Proponents of the anti-trans initiatives in both Montana and Massachusetts have played on the unfounded fears that allowing people access to the facilities matching their lived gender would somehow enable assault.